Discussion in 'Non Canon Roleplay' started by CaptainRandom97, Apr 9, 2018. Come one come all, to the Abbey of Redwall. Whether you live in warren, hole, ruin or burrow, house, meadow, nest or hollow. All are welcome in our great hall, here to mark this season, come one and all. Winter is gone, melt is snow and frost. The sun is here, may these days not be lost. All of Mossflower woods and beyond are welcomed to Redwall Abbey to join us on Nameday to celebrate the end of Winter and the beginning of spring. Father Elmo invites all Woodlanders to come for a big feast to end the Winter of the Silver Moon. We hope to see you soon. Welcome to a new rp, one based of the Redwall book series. Redwall is a peaceful abbey, set in the sleepy forests of Mossflower and populated by the woodland creatures who walk on hind legs, wear clothes and live their lives in peace. But trouble is coming to Redwall. Inside the Abbey is the Sword of Martin the warrior, but it has been a hundred seasons since a warrior has been chosen for the sword. But now with trouble coming from the North, the sword might need a new warrior after all. No raptor birds, wolves, or snakes. Predators are allowed but not eating over chars unless they are baddies. Personality: A playful and light hearted fellow. He is curious and high energy and a bit of trickster, but he also has a patient and solemn side that many do not see. Skills: Archery, climbing, acrobatics, map making. Items: Fathers bow and quiver, telescope, sextant, map paper and travel pack with ink and pen. Home: Redwall, formerly of the Hollow Tree near the ruins of Saint Agatha's. Chalapas I think you look rather, scrumptious. Daekon My battery is low, and its getting lonely. @CaptainRandom97 what kinds of creatures are considered to be vermin; are those allowed? Personality: Calm and caring, and is kind to most creatures. Backstory: Snowflower was born in the mountain of the fire lizard to Swiftpaw the Wise and Laia Stone Eyes. She grew up learning the ways of the warrior from her father and the ways of caring from her mother. While Snowflower took well to her father's training, she wanted to live a more peaceful life. 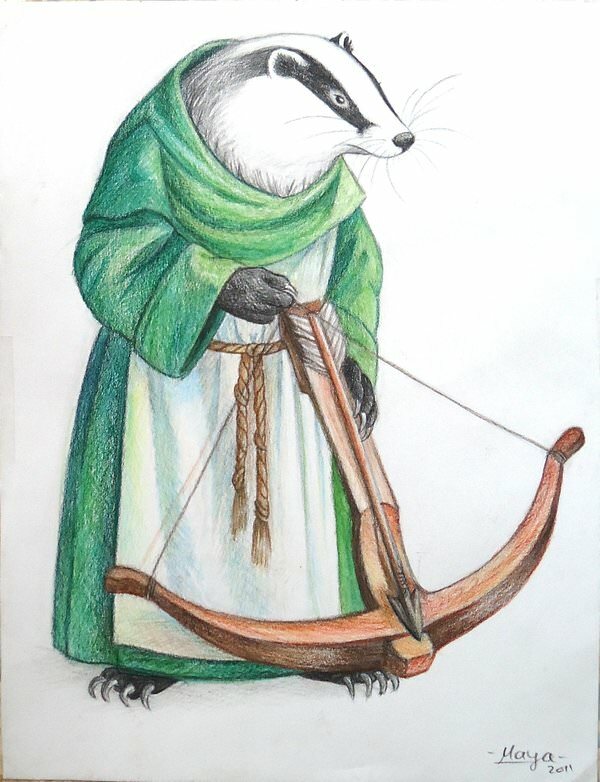 So when she was old enough, she left Salamandastron and moved to Redwall to become an Abbess. Beware: Your time will be spent refreshing your page until a notification pops up. Personality: Cold and calculating, usually puts the good of the many infront of the few. Backstory: A bit of a social recluse his entire family is dead, killed off through predators or diseases. The saints found him caught in a thorn bush, after rescuing him he tried to fight them and fly away but his wing was broken so he didn’t get to far. 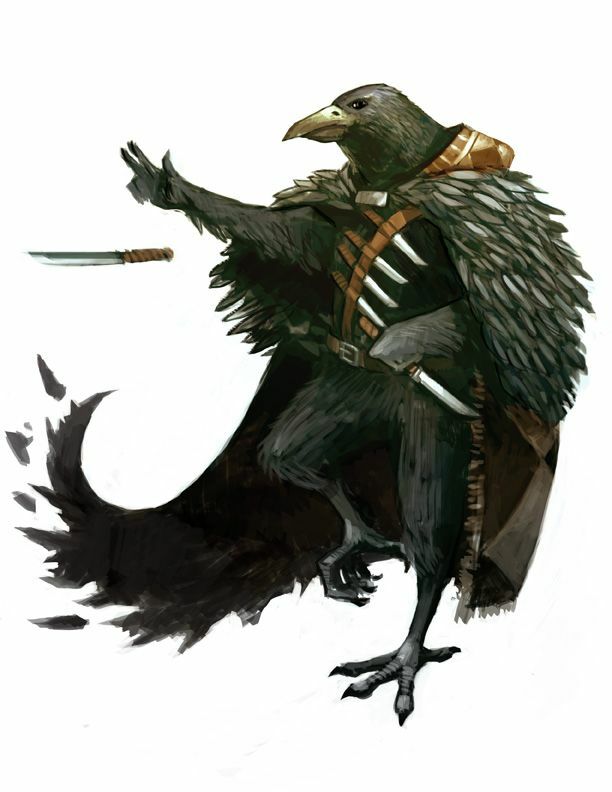 As soon as he was free to leave he left but the townsfolk found him loitering around the outskirts and they graciously let him build a nest there. He’s trained himself with knives and is constantly ready always believing dangers around the corner, but the townsfolk think he’s just joking around. Rats mostly, Foxes and Cats are considered evil but not always. Ferrets, Stoats and Weasels are seen as bad but not all are. Personality: He dislikes the notion of judging based on appearance, and tends to give people the benefit of the doubt (even if they don't deserve it). He's rather shy and reclusive, quite the opposite of what most expect him to be. Home: A small den a little ways outside the woods. Backstory: As a rather small Scottish Wildcat, he was bullied for his size, and his love of books only increased this. His tendency towards helping and being nice got him ostracized, and so he lives alone in his den, abandoned rather young by his parents. He learnt quickly what he could and couldn't eat, and helped others whenever the opportunity presented itself. The second one, back two legs. What about you Spoop? Want to be some little critter with a big Scottish accent? And @Wolf_Cobra very prominent kid community in Redwall. Boi, reserve me a spot! There' kids! Personality: A bubbly, energetic lad, Adrian is always getting himself into mischief and is almost always in the wrong place at the wrong time. He is loyal to a T and is rather well known for his loving personality and 20/10 hugs. Though he rarely gets angry, when he is it can be hard to flip him back into his usual happy to lucky attitude. Home: Idk, he'd live near running water tho. Plz help me Cap. Accepted and let's say, the Deep Wood Waterfall. I'm probs gonna do a fox is that ok? Personality: A keen-minded, swashbuckling rabbit from the outlands, Quinn is known for her sly but rather reckless personality, often partial to contributing to mischief when need be. However, despite her tendencies towards being social, she scarcely talks about herself or her opinions, more the observer like the scout she is. One could only suppose that the oddity of seeing a rabbit all the way over in Redwall makes her want to stay unknown. A mystery but, nevertheless a tolerable company to keep. - Jumping/Running/Kicking things due to leg structure. Home: Unlike most rabbits, as rare as they are in Redwall, Quinn lives in an above-ground warren built beneath a cage of raised tree roots. He scurried through the streets, his claws catching on the cobble stone every so often as he bumped into the odd person, frantically apologising before continuing his mad dash for the banquet. As he came up the main road he'd hear and rustle in the tree tops and see a squirrel dashing over head. "Woooop, Wooop. Hello Adrian."